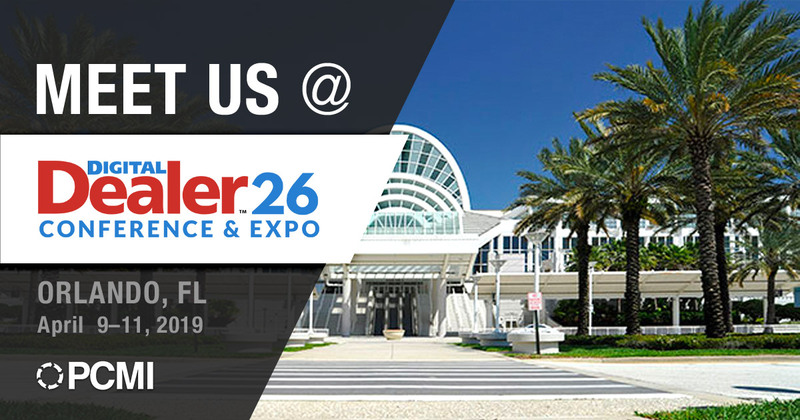 P CMI is excited to be attending this year’s Digital Dealer Conference and Expo, which will take place at the West Hall in the Orange County Convention Center in Orlando, FL. This year’s team includes PCMI’s President and CEO — Mark Nagelvoort and Business Development Manager — Sean Mangan. Mark and Sean are gearing up to connect and network with industry leaders and discuss top issues and are excited to be in attendance for the first time! The PCMI team always returns home to Chicago full of fresh ideas, ready to implement new and innovative strategies to grow their business and enhance customer experience. If you’re heading to DD this year, be sure to connect with Mark and Sean and schedule a meeting with PCMI today!